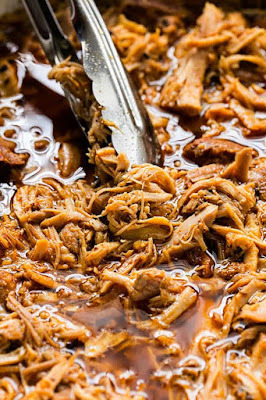 JUICY AND TENDER SLOW COOKER CHERRY COLA PULLED PORK IS THE PERFECT SET IT AND FORGET IT SUMMER CROCKPOT RECIPE. SERVE OVER RICE OR ON A BUN TOPPED WITH YOUR FAVORITE BBQ SAUCE! Place pork in a greased slow cooker. Rub with salt, pepper, garlic powder, onion powder, and liquid smoke. Add cola to the slow cooker, cover, and cook for 8 hours on low. Shred with two forks, stir in bbq sauce, and serve over rice or on a burger bun with more bbq sauce. 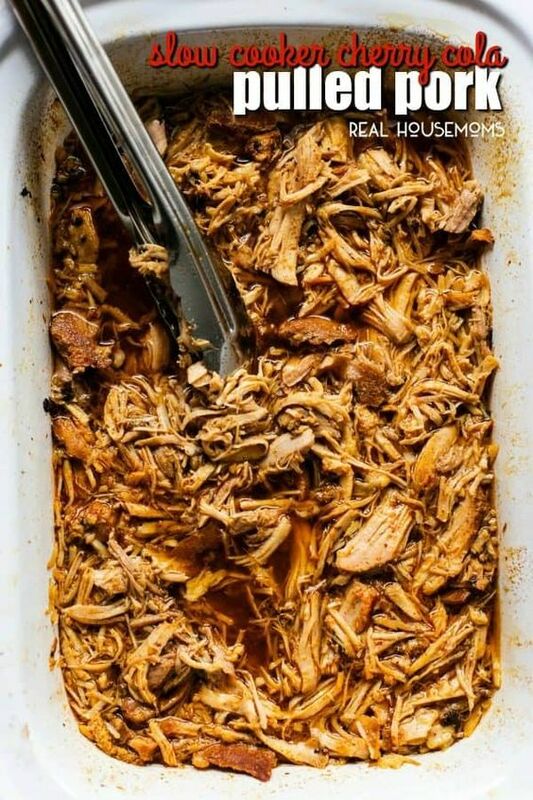 0 Response to "SLOW COOKER CHERRY COLA PULLED PORK"